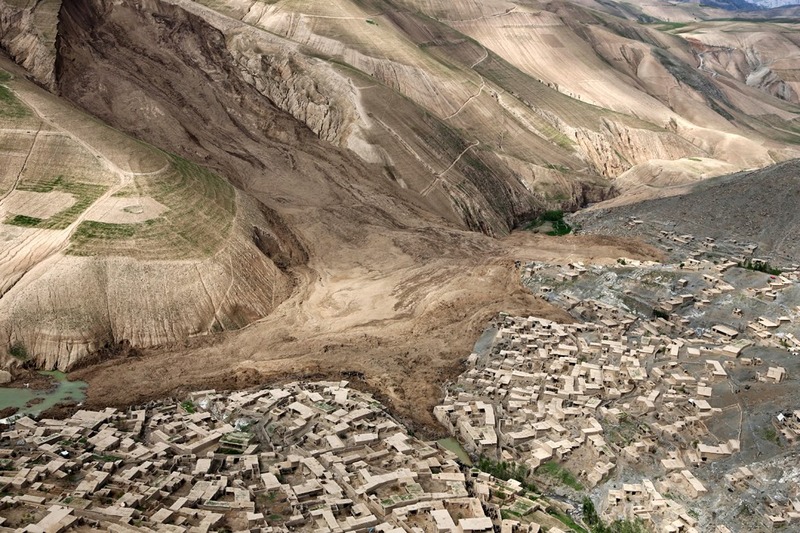 May 3 - Afghan officials have declared the site where landslides buried thousands of people a mass grave, saying it's impossible to recover those trapped. When did the tragic disaster occur? What happened to the villagers who rushed to the scene to help? Why have rescuers given up hope of finding any more survivors? How many people have been displaced by the disaster? to pummel (v): to cause a lot of damage to a place e.g. Hurricane Mitch is pummeling the Atlantic coast. debris (n): the pieces that are left after something has been destroyed e.g. After the earthquake, rescuers began digging through the debris in search of survivors. wreckage (n): the broken parts of a vehicle, building, etc., that has been badly damaged or destroyed e.g. The pilot was trapped in the wreckage for almost seven hours. death toll (n): the number of people who die in an accident, disaster, war, etc. e.g. The death toll has now risen to 200.
to wreak havoc means to cause great damage e.g. The virus wreaked havoc on my computer. rubble (n): broken pieces of stone, brick, etc., from walls or buildings that have fallen e.g. Rescue workers managed to pull two injured people out of the rubble. Solve the crossword using key words from the video.